A letter referring to an upcoming visit by Miss Frances Willard. 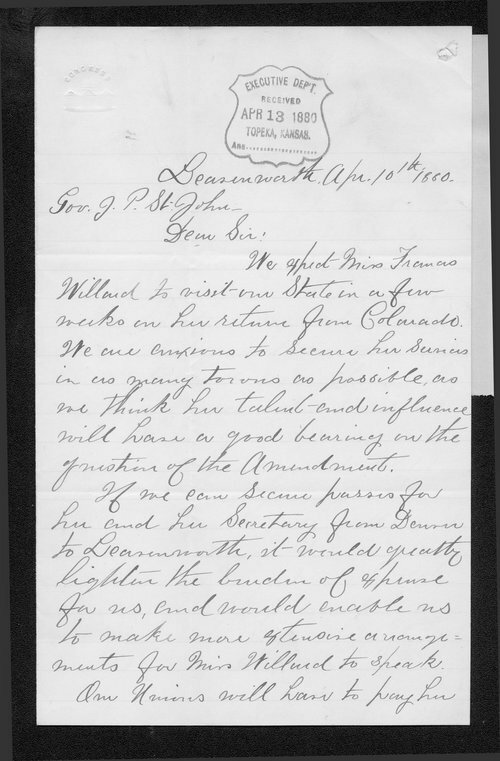 Mrs. Fields, of the Leavenworth Women's Christian Temperance Union, requests Kansas Governor St. John use his influence to procure railroad passes for Willard and her Secretary. Creator: Fields, Mrs. H. G.